BRICSion: Powerful Stories, Powerful Nations Tell Me More takes a look at some of the literature from countries that are on the rise in the global arena, the so-called BRICS nations: Brazil, Russia, India, China and South Africa. September 4, 2012  Kopano Matlwa's provocative novel focuses on the "Born Free" generation — those who came of age in the post-apartheid era. The author speaks to Tell Me More as part of its look at literature from nations on the rise: Brazil, Russia, India, China and South Africa. August 27, 2012  Tell Me More looks at literature from the rising BRICS nations: Brazil, Russia, India, China and South Africa. Of those countries, China may be considered the most powerful. 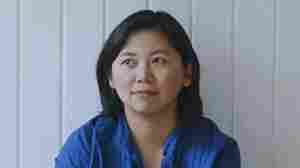 But for award-winning author Yiyun Li, it's China's personal stories that intrigue her. She discusses her book Gold Boy, Emerald Girl with host Michel Martin. August 15, 2012  Mumbai is one of the world's largest cities, and the setting for a gripping novel about the struggles and tensions that emerge in this rapidly modernizing metropolis. As Tell Me More takes a look at literature from emerging countries, guest host Jacki Lyden speaks with Aravind Adiga about his latest book, Last Man In Tower. August 10, 2012  Tell Me More is reading literature from countries on the rise in the global arena: the so-called BRICS nations — Brazil, Russia, India, China and South Africa. Sana Krasikov's short story collection, One More Year, focuses on Russia. She talks with host Michel Martin about her characters and what it takes to make it in Russia. August 3, 2012  Camila, the leading lady in Cat Life by Brazilian author Clarah Averbuck, may spend nearly 90 pages pining over the love of her life, Antonio, but that doesn't make her weak. Averbuck takes the girl meets boy story to a whole new place.